The Gradient Step can be used to create steps in height maps. You can adjust the gradient factor to get smooth transitions between the steps. value The height map value to create steps. steps The count of steps. gradient factor A value between 0 an 1 for the size of the gradient. 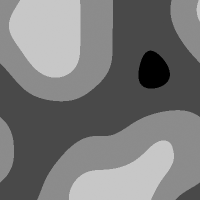 Uses x and z as height map positions.